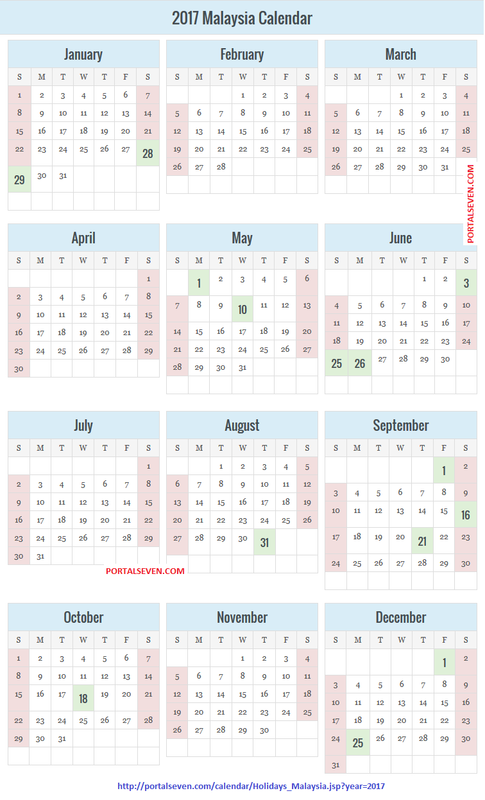 Check 2017 Malaysia Calendar with Federal, State and School Holidays List. 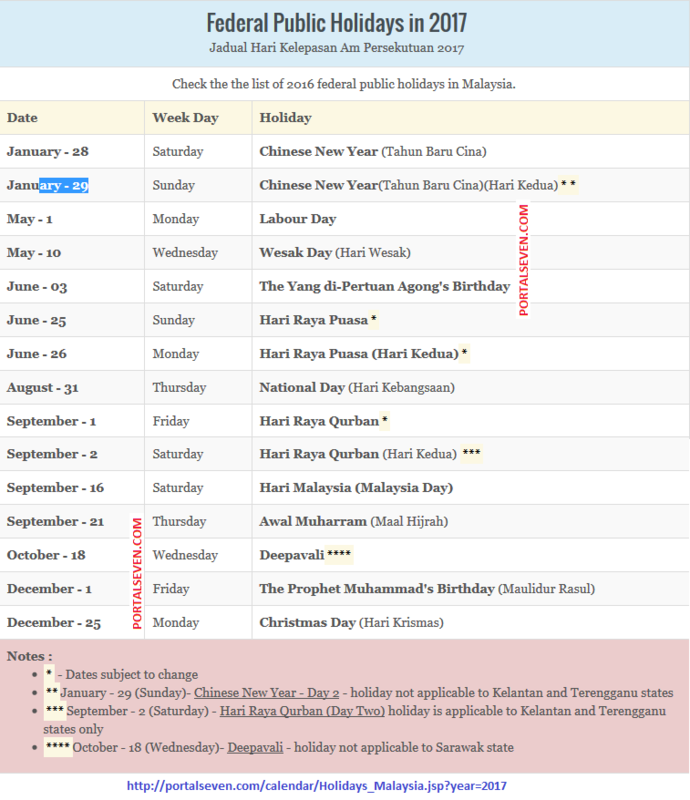 Check the the list of 2017 federal public holidays in Malaysia. Year 2017 calendar for schools in Perlis, Pulau Pinang, Perak, Selangor, Wilayah Persekutuan Kuala Lumpur, N.Sembilan, Melaka, Johor, Pahang, W. Persekutuan Labuan, Sabah, Sarawak and W. Persekutuan Putrajaya. On the second day the Chinese New Year, families gather to â€˜open the new yearâ€™, while at work bosses treat their employees to a dinner. In Malaysia, this is a time when Chinese bosses give bonuses even to those employees who are not Chinese. Vesak is an annual public holiday observed traditionally by practicing Buddhists in Malaysia. Sometimes informally called Buddha birthday, it actually encompasses the birth, enlightenment Nirvana, and passing (Parinirvana) of Gautama Buddha.In Malaysia.